Friday was a rainy day. Rain during the night which made for great sleeping and then again in the afternoon. We spent most of the day trying to win the war of the ants. One of the “joys” of camping this time of year is that at times most campgrounds have some ants. We have never had ants in Fred 2. 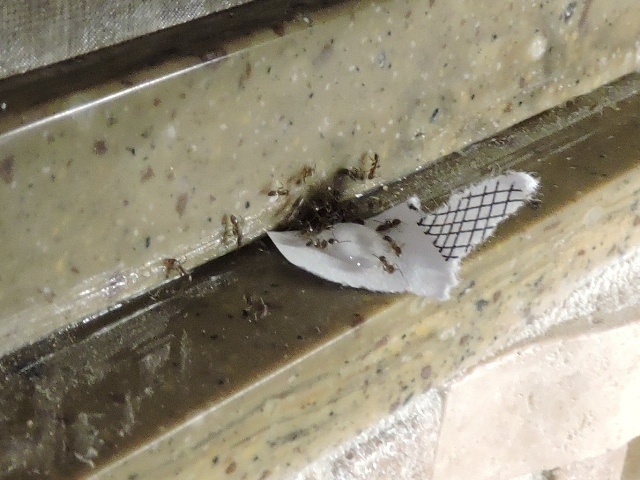 However just before going to bed last night we found ants around our sink. 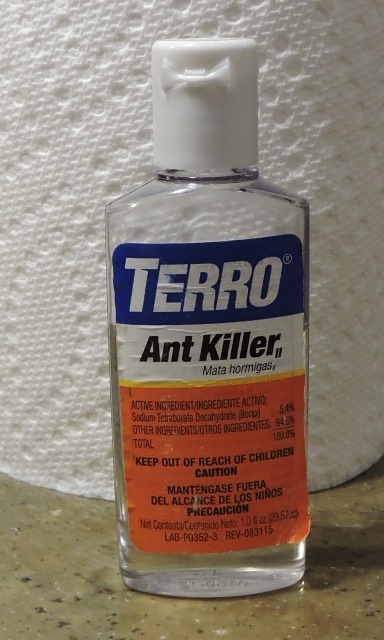 Terro is absolutely the best product we have ever found for ants and we never travel without it. It’s a borax product that the ants take back to the nest and it kills the queen and all the ants in the nest. For a day or so it looks like it is making the ant problem worse, but then suddenly they are all gone. By morning things were looking better, then mid-morning we found more ants by the refrigerator. So more treatment was needed. Fortunately the Terro does work and by the end of the day the ants were gone. There were still no barges on the river Friday, but we finally found out why. Max found a navigation bulletin that was actually released August 3rd, that stated that resumption of river traffic is postponed until 6:00 pm August 12. At least we can stop watching and listening for the horns at the locks. But we will be watching Sunday evening. That was about it for Friday except for getting out and enjoying the wonderful park and getting our exercise. Saturday was a dry, sunny, beautiful day. We were up early and on the road back to Blount County. We picked up breakfast before hitting the interstate and stopped at our local produce stand on the way into Oneonta. We got more local corn, peaches, tomatoes and watermelon. Last week’s was great so we expect to enjoy this as well. We then went to visit with the Aunts. Jean and Helen both were about the same. Both said they had a good week. Helen went to Bible study while we were there and said it was great even though she couldn’t remember what they studied. We went to the mountain and collected everyone’s mail and checked the houses. We returned to Oneonta and visited a while longer before getting us some late lunch and then heading back to Tuscaloosa. Always thankful for our safe travel days. We topped off another good day with root beer floats for supper. Great way to end our day. We plan to watch the YouTube stream of services at Lester Memorial tomorrow. Hope you are all praying for all the services tomorrow. 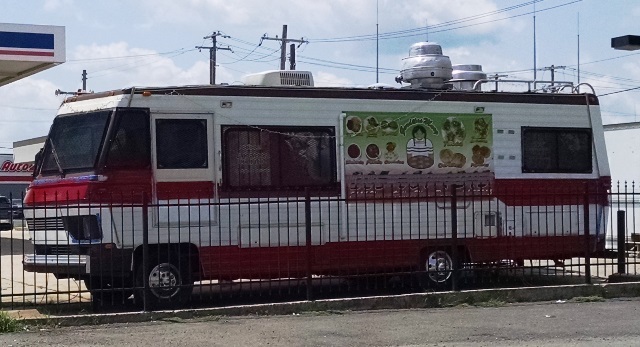 When we drive through Tarrant we see this old Tiffin motorhome converted to a food truck.